Book a visit We will find a better time for you! Prosthodontics is helpful to anyone whose tooth is excessively damaged or who has lost one or more of their teeth. At Periodent, we use modern methods to ensure that new teeth are safe and comfortable to use. 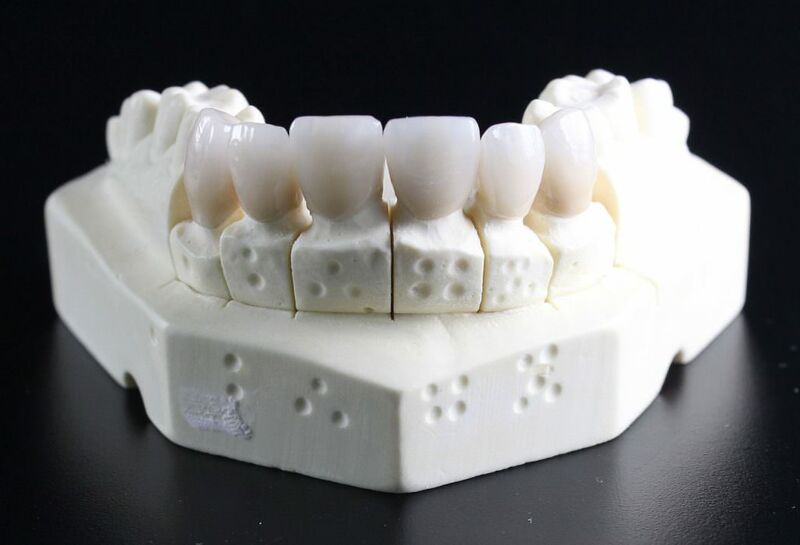 There is no need to make a silicone mould – the dentist will make a preparation for prosthodontics and then a digital imprint of the tooth with an intraoral camera. Using a special computer program, a 3D reconstruction of the tooth is made, with the help of which either a temporary or a final crown is completed. Tooth reconstruction is therefore easy and convenient. In the presence of the patient, a crown is completed, which is durable and takes account of one’s physiology. Choose safe and comfortable prosthetic treatment.